Maybe its all the snow, but I seem to be having a little love affair with lace lately. Really! Curtains, scarves, flowers, garland, gift wrap, bracelets, the list goes on and on. 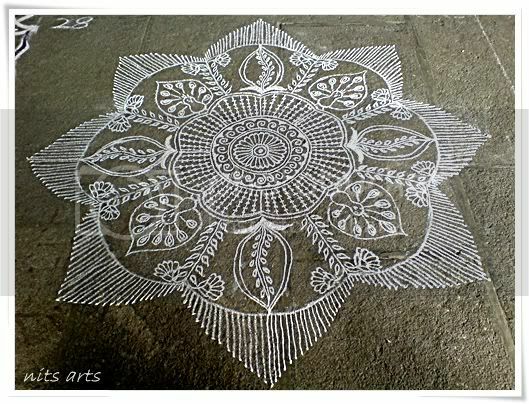 But all that lace is also reminding me of the beautiful Kolam designs many women in South India create each morning with white stone or rice powder to invite the divine to grace their homes. So, I'm curious, how do you invite divine grace into your home? Sparrow's CD Release Party, Nov. 16th!